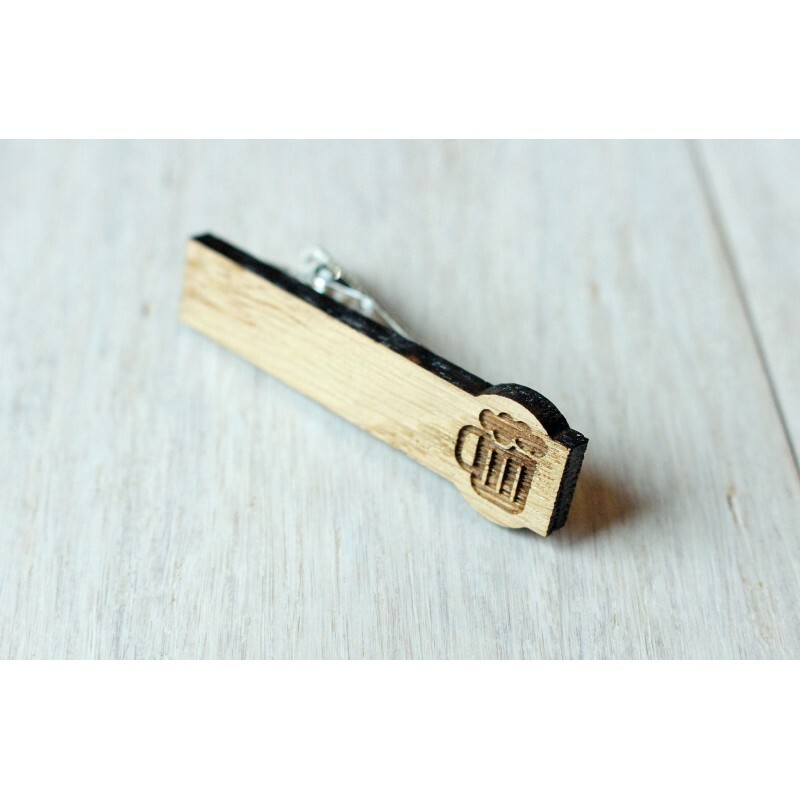 Beer wooden Tie Clip, made by laser cut from oak wood look great in the raw natural state. 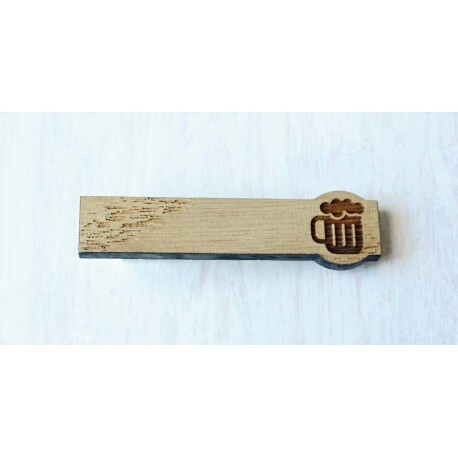 They are 60x17 mm in size and are on the silver color tie clip base. 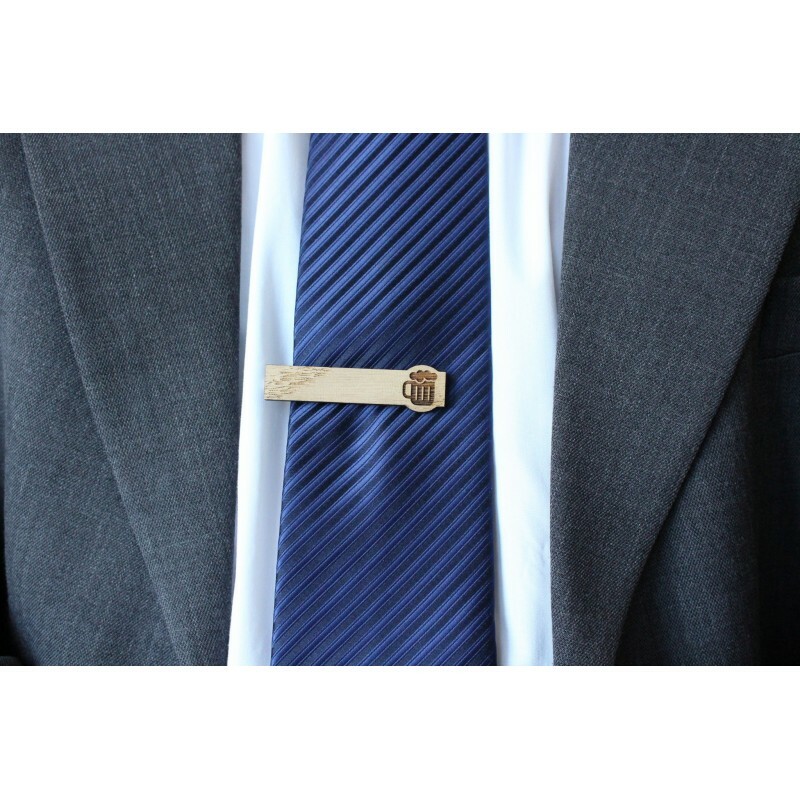 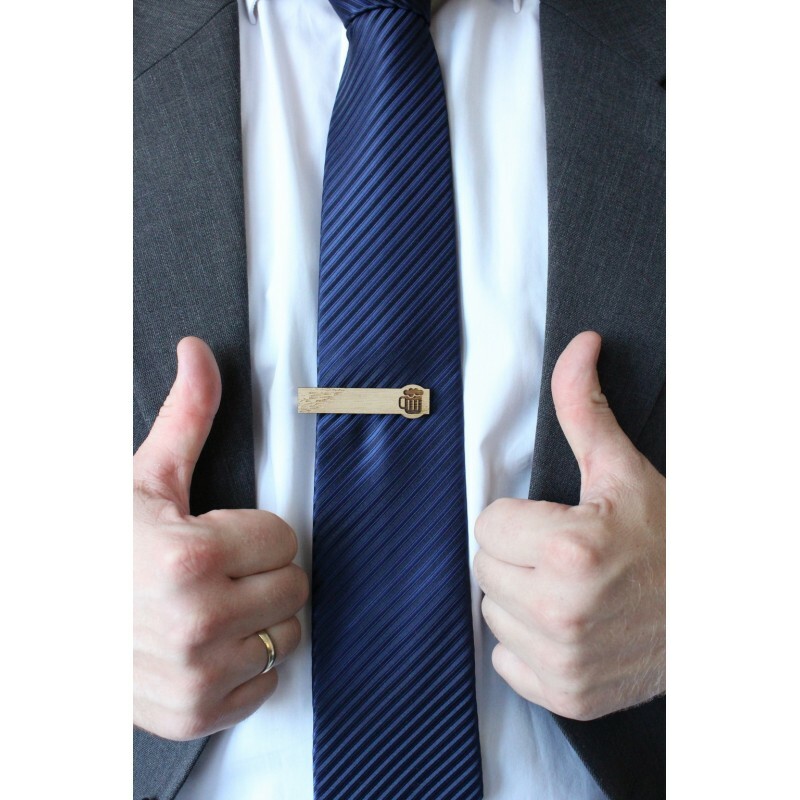 The Beer Tie Clip is perfect for your groom to wear at wedding or can be a perfect 5 year wedding anniversary gift. 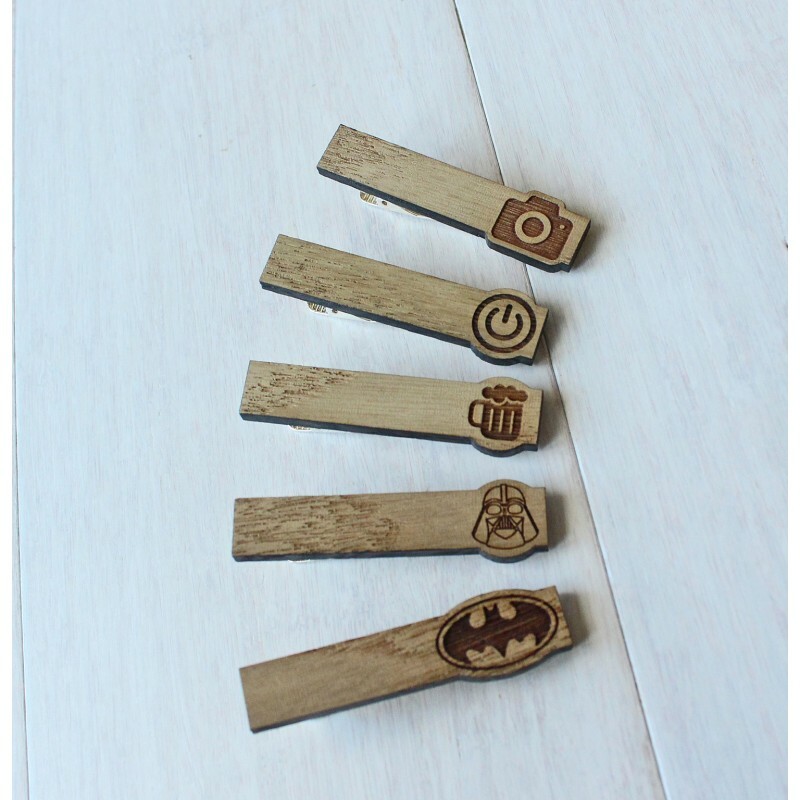 They come in a natural brown, paper giftbox.